Coconut Milk Kefir Recipe. Easy to make & dairy-free. Commercial kefir is pasteurized, killing most of its beneficial probiotics. Homemade kefirs healthier. 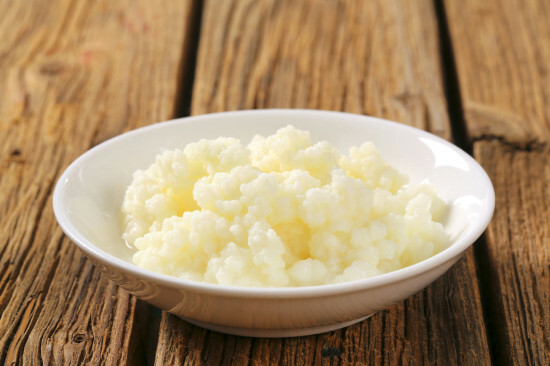 Milk kefir grains contain strains of beneficial probiotics. 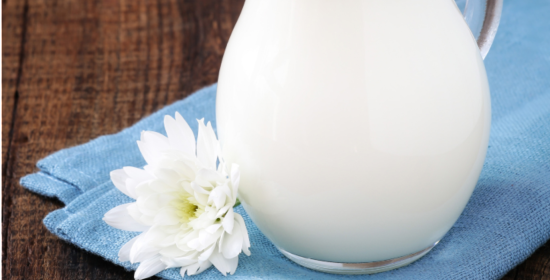 When added to milk, they produce a tart, probiotic rich beverage similar in taste to yogurt. Beneficial probiotics help boost the immune system. You can also use cows milk or goats milk to make kefir. When kefir grains first arrive in the mail, start multiplying them before you make your first batch of coconut milk kefir. Once kefir grains are multiplying at a fast rate, and you have plenty to spare, there is no need to strain the grains from each batch of finished kefir. Just refrigerate and consume them along with cultured kefir. Follow instructions included with milk kefir grains. Or read how to multiply kefir grains in this how-to article from Cultures for Health, “Encouraging Milk Kefir Grains to Multiply”. Note: Cultures of health does not sell live milk kefir grains but a powder that has to be cultured to grow the milk kefir grains from scratch which greatly extends the process. Make sure to order live milk kefir grains. Equipment – Sterilized Mason jars or glass bottles with tight fitting lids, tongs, cheesecloth, rubber bands. Note – use full fat coconut milk for thicker, creamier kefir. For lower calorie kefir, use lite coconut milk or coconut milk from a carton at 45 calories per cup. Or better yet try this easy recipe and make and use your own Fresh Coconut Milk. You can also use cows milk or goats milk to make kefir. Sterilize Mason jars or glass bottles large enough to hold the coconut milk while leaving some extra room at the top. Bring a large pan of water to a vigorous boil. Gently add jars or bottles. Boil at least 5 minutes. Use tongs to remove sterilized jars or bottles. Being careful not to touch the inside of the glass. Cool sterilized jars or bottles. Add kefir grains to each jar or bottle. Use approximately 1 to 2 tablespoons per 16 ounces of milk. Add room temperature coconut milk to each jar or bottle. Fill three-fourths of the way full. Leaving some extra room at the top. Filling the jars or bottles too full may cause them to overflow during fermentation. Cut cheesecloth in a circle big enough to cover the opening of the jars or bottles. Cover top of each with the cheesecloth. Secure with a rubber band. Store in a warm place away from direct sunlight and drafts for 24 hours or longer. Fermentation is complete within 24-72 hours. Fermentation is complete when coconut milk is tart. Taste test to determine if fermentation is complete. The longer you ferment coconut milk kefir, the tarter it will be. Optional – pour coconut milk kefir through a strainer into a clean sterilized glass jars or bottles. If you aren’t making a new batch of kefir you can leave the grains in the jars or bottles. Read how to multiply and keep kefir grains alive in this article from Cultures For Health, “Encouraging Milk Kefir Grains to Multiply”. Note: Cultures of health does not sell live milk kefir grains but a powder that has to be cultured to grow the milk kefir grains from scratch which greatly extends the process. Make sure to order live milk kefir grains. Seal jars or bottles tightly. Refrigerate coconut milk kefir when fermentation is complete. Enjoy cold. For flavored kefir, blend it with fresh or frozen fruit. Add fruit just before serving to keep the probiotics contained in the kefir intact. Do not pre-mix kefir with fruit. 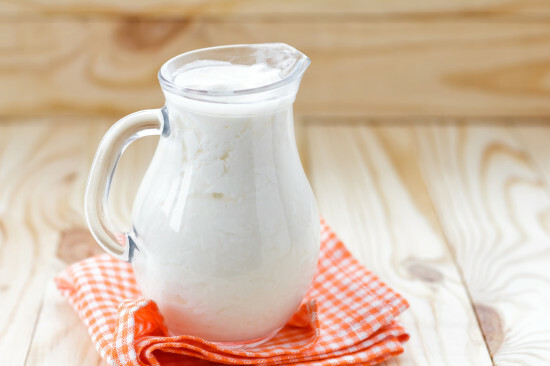 Metatags: Coconut Milk Kefir Recipe. Easy to make & dairy-free. Commercial kefir is pasteurized, killing most of its beneficial probiotics. Homemade kefirs healthier.